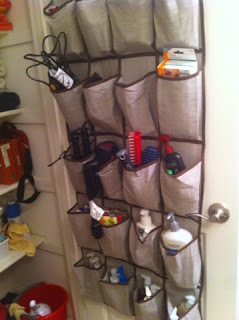 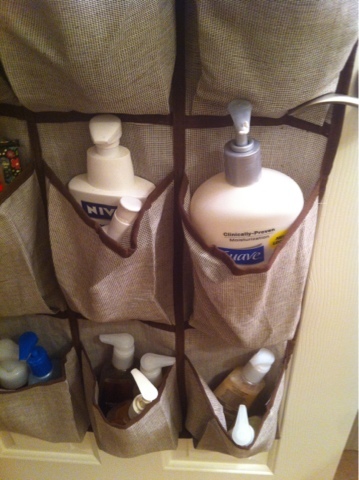 Great organization tip: use over-the-door shoe holders for bathroom storage. I hung on inside the linen closet in my bathroom to hold my hair dryer and straightener, lotions, and everything else that doesn’t have it’s own place in the closet. 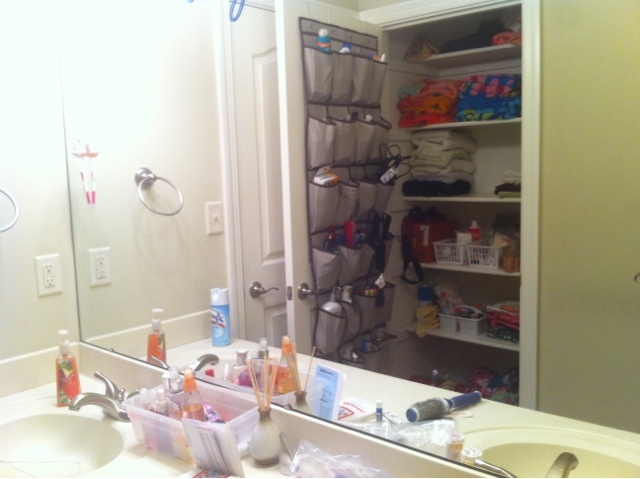 Plus it cleared out a lot of room in the closet.